Club members donated bicycles to the Bike Angel program. In Burbank, the Bike Angels are a group of mostly city employees who refurbish bikes during the year to help insure kids in need get a bicycle. 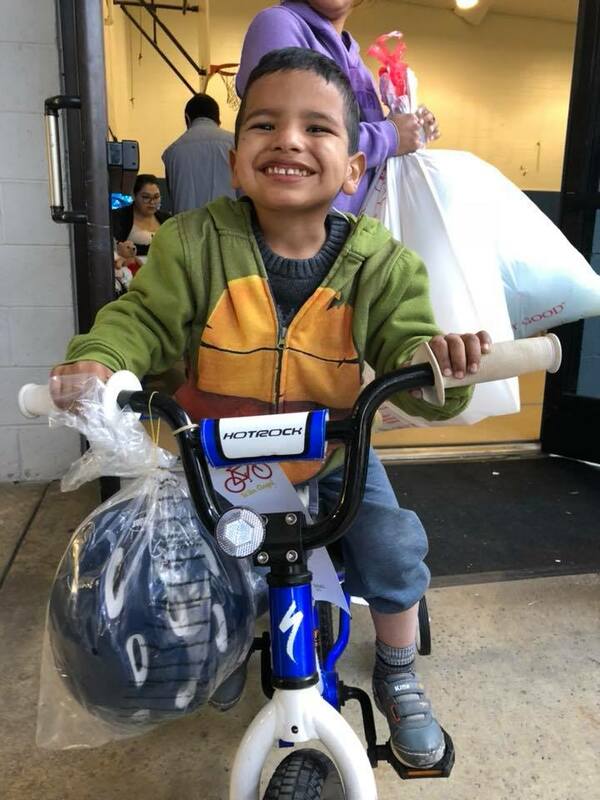 In addition to haunting garage sales during the year for used bikes, members also donate any shortfall of bikes to ensure every child that asked for one, gets one. This is in conjunction with the Salvation Army Angel Tree program where community members take tags from trees in various locations in the city and fulfill requests. Then members volunteered on distribution day when food, toys, and bikes are given to needy families. Smiles like this one are what its all about! !